"Romance, fantastical lore, and adventure--the most fun I've had reading in a long time!" "This is a fresh and exciting new story that addresses realistic themes set in a fantastical world. Teens will be able to connect with Lia and be immersed in Easton's world-building." "We love this book about the descendants of The Little Mermaid! EMERGE has romance, humor, adventure and an amazing setting among the mansions of Malibu!" "Clever, well-written and insanely unique, EMERGE brings us deep into the lives of mermaids, where coming of age has never been so magical." "An unforgettable siren song of characters who will hook your heart"
"This clever twist on an old tale will hook readers with its humor and lure them in with its heart. A charming story filled with rich world building, authentic characters, and an irresistible and surprising romance"
The thrilling second installment of the acclaimed Mer Chronicles series, now available! 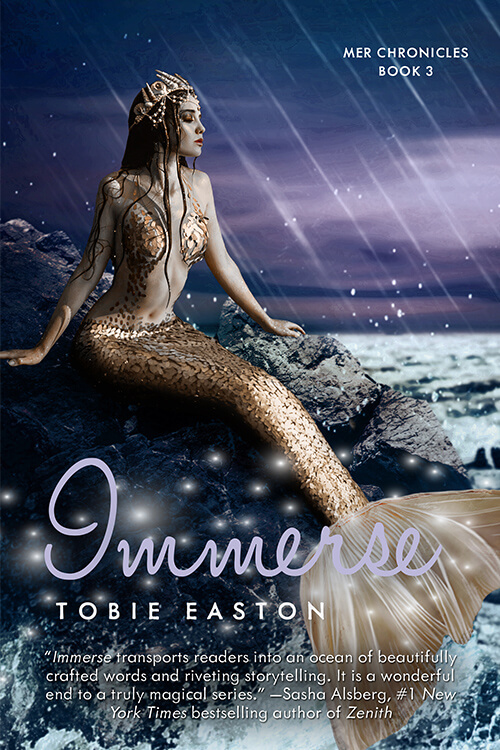 SUBMERGE, Book 2 in the Mer Chronicles, is the exciting and magical sequel to EMERGE by Tobie Easton. "Romantic, enthralling, lyrical. Submerge is nothing short of magical." 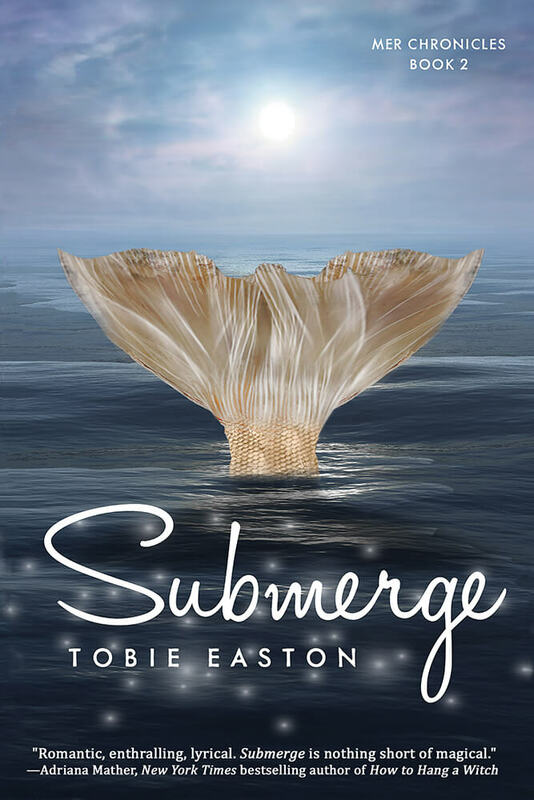 "Expansive world-building and heart-thumping romance combine to make Submerge a delightful and gripping read. 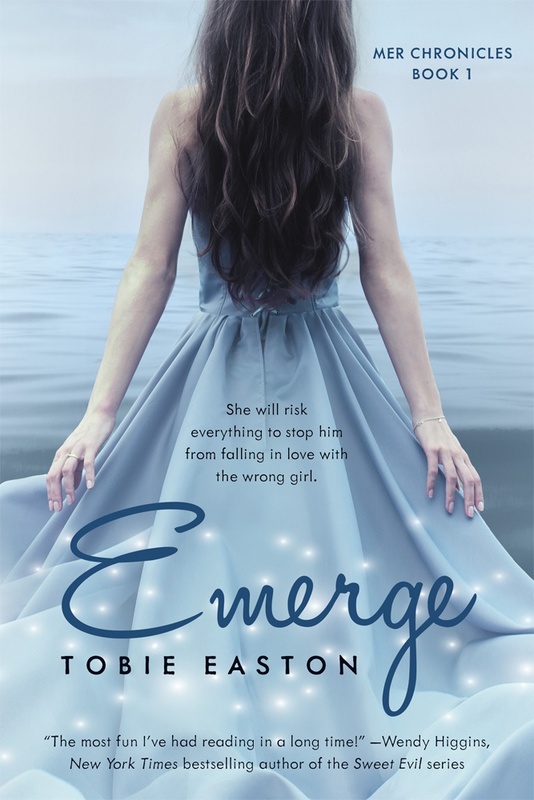 Fans of Tobie Easton's Emerge won't be disappointed,while new readers will love jumping right into the deep-end." But when an old enemy resurfaces and Lia is restricted to the palace for the safety of all Merkind, she and Clay are ripped apart once more. She fears not only for Clay, but for her best friend Caspian, who seems to be swimming down a dangerous path. He has invited the conniving Melusine to the coronation ball, convinced she’s capable of change. And no matter how hard Lia fights it, showing up on Caspian’s arm is just the start of Melusine’s insidious return to her life. The thrilling second installment in the Mer Chronicles series, coming soon from Month9Books! Pre-order now!